International trade is at the heart of America’s international nameplate auto industry. Because of this, trade is AIADA’s top legislative priority. The association focuses its efforts on preserving open markets, combatting protectionist sentiment, and supporting trade agreements between the U.S. and nations around the globe. ​The association has worked on a bipartisan basis to help Congress recognize the value of open markets to dealers and the U.S. economy. Recent efforts have focused on the need for Congress to pass Trade Promotion Authority (TPA), which would provide the President with the authority necessary to negotiate trade agreements and then submit them to Congress for an up or down vote. The international nameplate auto industry is growing and thriving in the U.S., bringing new meaning to the definition of an “American car.” AIADA combats sentiments that would close America’s market off from the jobs and economic investment the international nameplate auto industry brings to the U.S.
AIADA supports U.S. trade agreements. Free trade agreements only improve America’s competitiveness across the globe by providing access to rapidly growing markets. AIADA actively lobbies on behalf of trade agreements that help enable international nameplate dealers to grow and thrive. 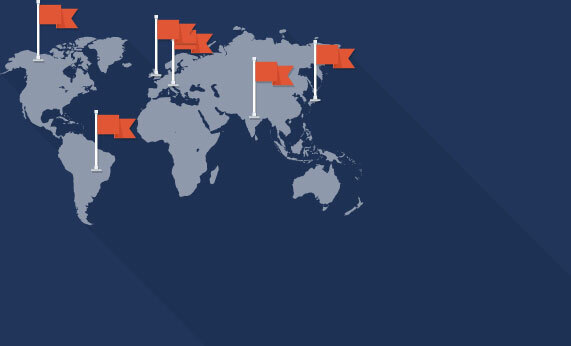 Read more about AIADA's position on Global Trade. One-Pager: What Would a 25% Tariff Mean for the Auto Industry? International nameplate automobile dealers are selling more vehicles across the U.S. than ever before, employing more than 570,000 Americans at 9,500 dealership franchises across the country with a payroll of $32 billion. Brands sold by international nameplate dealers have invested more than $73 billion in their U.S. facilities. They operate 36 manufacturing facilities and 63 research and development facilities across the country, directly employing 126,500 Americans with a payroll of $9.9 billion. Sixty-one percent of these jobs are in manufacturing. Thirty-eight million U.S. jobs depend on commerce with America’s trade partners. Passage of TPP and TTIP, the current agreements under negotiation, are predicted to boost U.S. exports by $124 billion by 2025, generating hundreds of thousands of American jobs. Fifty-six percent of international makes sold in the U.S. are also built here. In 2015, international nameplate factories located in America produced over 5.3 million vehicles. America drives the world economy, but outside our borders are markets that represent 80 percent of the world’s purchasing power, 92 percent of its economic growth, and 95 percent of its consumers. Total trade with the 14 FTA partners (representing 20 countries) boosted U.S. GDP by $1.0 trillion. Total U.S. exports of goods and services to the world were $462.7 billion higher than they otherwise would have been because we trade with these countries. Further, trade with the FTA partners supported 17.7 million U.S. jobs across the range of U.S. industries.